welcome to the latest issue of the Prague Preview, bringing you a selection of events scheduled for the final months of 2018. Before we proceed with our longer-range preview, let us quickly remind you of a few events slated for the summer and autumn period. Music lovers will be thrilled by a slew of festivals – the Prague Proms, United Islands of Prague, the Metronome Festival Prague 2018, Summer Festivities of Early Music and the Dvořák Prague festival. A visual feast awaits for visitors to the Letní Letná and Signal festivals – and there’s even more! Click on our Calendar of Events and see for yourselves. And finally, a technical note: In accordance with the EU regulation known as GDPR, we assure you that your personal data is well protected. If you wish to continue receiving our newsletter, you need not take any action. If you wish to be removed from our mailing list, simply click on the unsubscribe link in the bottom part of the newsletter. Take in Prague’s most spectacular views both during daytime AND after dark! Our new combination ticket offers priority access and reduced admission to Prague’s two oldest town halls, the Old and the New Town Hall. 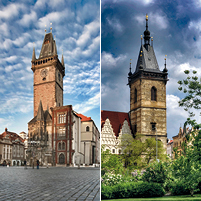 The Pass is valid for three days and includes two separate entries to the Old Town Hall view tower, plus one entry to the Old Town Hall and New Town Hall buildings. Sold in the ticket offices of both town halls. Showstopping glass drinking sets and vases, exquisite porcelain and ceramic ware, brilliant light fixtures, home textiles, decorations and more will be on view during the exhibition dedicated to Czech(oslovak) design from the years 1927-1948. 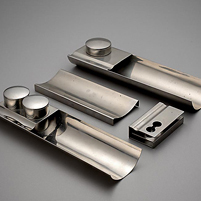 Featured will be both the production of certain Czechoslovak manufacturers as well as iconic items designed by prominent artists and designers, among them Adolf Loos. More. Don’t forget to book your tickets to a perennial favourite. Tchaikovsky’s ethereal music will take you to 19th century London, to witness the famous story about the transformative power of Christmas. 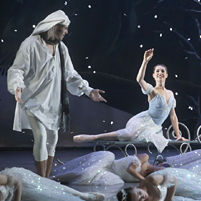 Tickets tend to sell out by early autumn, so don’t miss this wonderful performance. More. While we’re only at the brink of summer, many of you ask us already when the Christmas markets will be held in Prague. 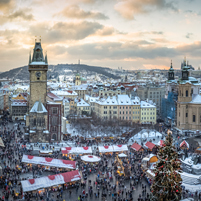 We are happy to report that Prague, recently praised by global media as one of the world’s top Christmas destinations, will host the markets from the first of December. We will be sure to have a special brochure and a Christmas page up and running for you this autumn so that planning your stay will be a breeze. More. Do You Know St Martin's Wine, the Czech Answer to Beaujolais Nouveau? The feast of St Martin, which falls on November 11, is a special day in Czechia, as the year’s young wine is uncorked for the first time, to be enjoyed along with traditional roast goose. In addition to the usual, there will be special St Martin’s river cruises, an outdoor festival at the Náplavka riverside, along with tastings and feasts all over town. Brittany’s rough-hewn beauty and typical motifs will be on display at this National Gallery exhibition. Among the diverse group of Czech artists who made Brittany their (temporary) home are Alphonse Mucha, Antonín Chitussi, Josef Čapek, František Kupka, and Toyen. Their works will be complemented by artworks by the likes of Paul Gaugin, Paula Sérusier and Émile Bernard. Travel professionals alert! The 2019 travel season is nigh, and this international B2B event is the perfect place to make new deals and meet new partners. Attendees include Czech and European travel agencies and operators, destinations, transportation companies, hotels, and other service providers. 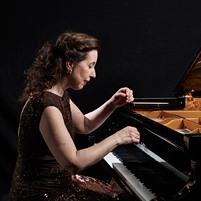 The annual piano music festival has once again managed to attract a remarkable group of artists. Jazz piano legend Monty Alexander is sure to be a major draw; the programme also features such renowned performers as Piotr Anderszewski, the KBS Symphony Orchestra with Kwon Sun-U, Grigory Sokolov, Miroslav Sekera, and Paul Lewis. A “best of” from international design week events, plus a cross-section of domestic production, can be seen in a former office complex in downtown Prague that was recently transformed into an original multi-cultural space. This regular showcase of independent designers and manufactures is in its fifth year. The blues-rock, jazz, and soul singer with a uniquely exalted singing style, considered by many to be a successor to Janis Joplin, works with the likes of Joe Bonamassa, Jeff Beck, Buddy Guy, and Slash. In 2017 she brought the house down during her Prague performance; this year’s show will again be a trip across various genres. Global Champions Prague PlayOffs is a unique sporting event which will, for the first time in Prague, present the world’s best show jumping horses and riders as part of the prestigious Longines Global Champions Tour and Global Champions League series. The event promises to be an exciting spectacle with 16 of the world’s best teams, only one of which will walk (or ride) away with the 3 million EUR prize money.